They are many instances when a body develops a disease or an illness as a direct result of not getting an enough vitamins, minerals and supplements. This is the body’s way of getting the attention of the individual and hoping that they will rectify the situation. It is important for individual to see a doctor often so that they may check and make sure that you are getting the right amount of supplements in your diet. Keshan disease is an illness that is a direct result of a deficiency in the mineral selenium. Keshan disease is an inflammation of the heart muscle that causes a hearth illness known as cardiomyopathy. Selenium is an antioxidant in the enzyme selenium-glutathione peroxidase. Selenium is part of a nutritional antioxidant system that protects cell membranes and structural membranes from lipid peroxidation. 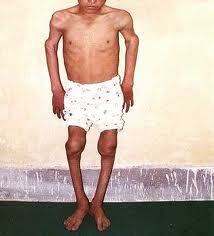 Keshan disease was first discovered in Keshan a province in China. It has also been found in New Zealand and Finland. It seems to be found in individual in areas where the level of selenium in the soil is low. It seems to affect young women and children more. They are some parts of the United States that have low levels of selenium. Western states generally have higher selenium levels than eastern states. Ohio has the lowest level of selenium in its soil. Keshan Disease is a condition that is caused to due to a low intake of selenium. It may occur due to several other factors including a virus of a lack of Vitamin E. Selenium is thought to protect against cardiovascular disease, hence, a delinquency in it causes Keshan Disease. When an individual does not get the required amount of selenium, which is a key component in tissue respiration and protection; they develop Keshan disease. This is a very fatal form of disease of the heart muscle. An individual with Keshan disease will have an enlarged heart. Other symptoms of Keshan disease are higher rates of cancer, cardiovascular disease, hypertension, and strokes. An individual can also have eczema, psoriasis, arthritis, cataracts, alcoholism, and infections. A doctor will be able to diagnosis Kehan disease by doing an EKG of the heart and looking for a cardiomyopathy. In order for doctors to verify that a deficiency in selenium is a cause they will evaluate an individuals blood level. A hair analysis might also be conducted to check for the levels of selenium. In some cases, the soil of the area in which the person lives may be tested. The treatment for Keshan disease is selenium supplementation. The recommended amounts are fifty-five micrograms of selenium per day for adult men and women, sixty micrograms a day for women during pregnancy and seventy micrograms per day for women during after pregnancy. A doctor may insist that if a man is sexual active, he may have to take up to seventy micrograms of selenium per day. A doctor may also recommend that the individual take Vitamin E also, Selenium and Vitamin E are medically linked and seem to work to together. An individual will also be advised to have a diet that includes seafood, meats such as kidney, and liver, and some grains and seeds; all of these are high in selenium. Brewer’s yeast and wheat germ both contain high levels of selenium. Garlic, onions, mushroom, broccoli, tomatoes, radishes, and Swiss chard may be good sources of selenium if the soil in which they are grown contains it. An individual will have to be monitored once they begin to take the selenium supplements, due to the fact that too much of it can cause balding, intestinal distress, weakness, and slow mental functioning. Individuals in China with the disease, treat it with a herb called Astragalus, which accumulates selenium from the soil. Keshan disease is a potentially fatal disease of the heart. While individuals who are diagnosed with a selenium deficiency and receive selenium supplements have been able to see some improvement in the continuing development of the disease, however, it can not reserve any of the heart muscle damage that has already occurred.